Contrary to a prevalent belief, the Industrial Revolution of the eighteenth century dramatically improved the standard of living of the people. The three parts of this DVD attempt to show how this remarkable transformation came about. 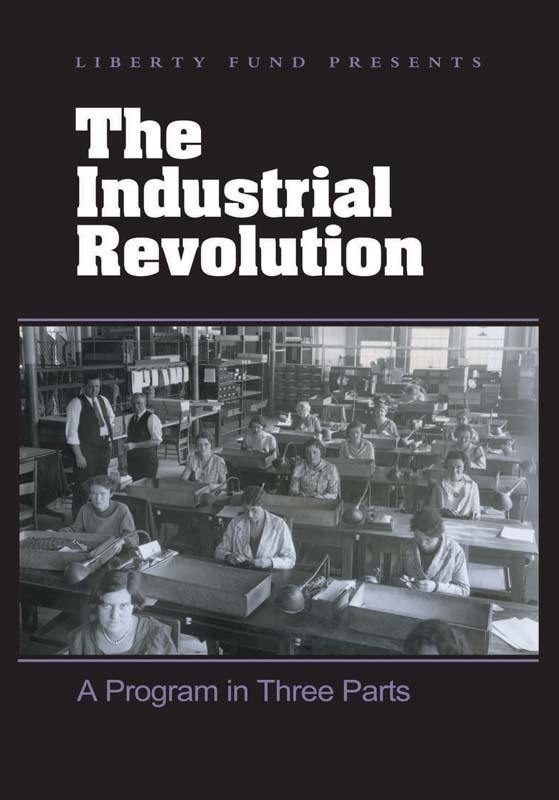 The Industrial Revolution DVD focuses on England’s transformation in the eighteenth and nineteenth centuries, which initiated a process of economic growth and social and political change that some call the greatest economic discontinuity in economic history. This DVD explains the significance of the Industrial Revolution by showing what it was, what caused it, and what were its consequences. Part 1: The Great Discontinuity identifies and defines the Industrial Revolution. Part 2: Freedom under the Law explains why the Industrial Revolution began in England in the eighteenth century—the economic, social, and historical factors that gave rise to our modern age. Part 3: A Magnificent Century identifies the social, political, and economic effects of industrialization for the mass of the population. This DVD objectively presents the great debate about the triumphs and tragedies of industrialization. DVD. © 1978. 87 minutes.